Bold 9900, BlackBerry thinnest and Sailing Touch ~ " World Information "
Jakarta - Welcoming the BlackBerry World 2011 event held in Orlando, United States, Research In Motion (RIM) today announced their newest BlackBerry devices. 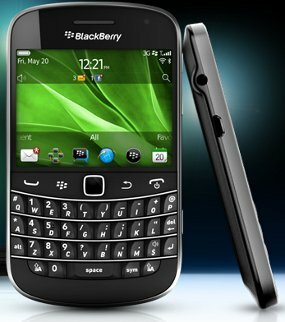 He is the Bold 9900 series, and brings thinnest BlackBerry touch-screen capabilities. Judging from its design, this device glance similar to the original version of the Bold (9000 series) which was launched in 2008. Only Bold 9900 appear more elegant with 2.8 inch wide screen. The most compelling of these is a matter Bold 9900 phones to be thin, which is only 10.5 mm thick, making it the thinnest BlackBerry smartphone available today. Despite having touch screen capabilities, Bold 9900 still carry the original design of the Bold. That is still using qwerty keyboard, unlike with the BlackBerry Torch series which - despite the type of touch screen - but has a wide screen and a qwerty keyboard with a slide version. One feature andalaan was buried the BlackBerry Bold 9900 OS 7. This is the latest BlackBerry operating system which is claimed will make BlackBerry smartphones more quickly and easily enabled. This device was going to be two versions, series 9900 for GSM and the Bold 9930 series to CDMA segment.